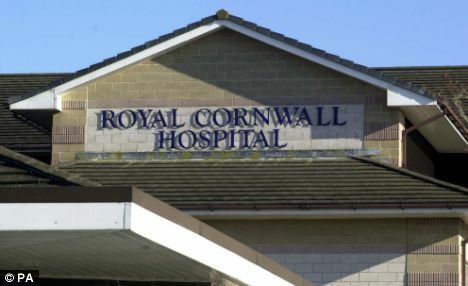 A new service has been set up by the Royal Cornwall Hospital in Truro that sends out a text message to remind patients of their appointment. The texts, sent to patients’ mobile phones, list the date, time and location of appointments and include a number to call if there is a problem. Apparently a total of 37,289 outpatient appointments were missed in 2008 – which is just under 9% of all appointments – costing the hospital thousands of pounds. The service has been set up as a month-long pilot for now. But two weeks in it is being seen as a success. The ban on mobile phones in hospitals is likely to be lifted soon according to this report on the BBC. The move is after the Department of Health update its guidance on mobile usage. Certain areas within hospitals and use at certain times may still be banned so as not to affect sensitive equipment and to respect patient privacy and peace and quiet. I think this is a good move. For most people the rules about not using phones is something they don’t really understand and often break – many times unwittingly. Just like on planes, the arguments about phones affecting the equipment no longer stands up – I think that on average 7 phones are left on on each flight, so they can’t cause that much damage. In fact, the use of mobiles in hospital is a similar issue to the use of phones on planes. The desire (or even need in some cases) to keep in touch is very strong and most people want to be able to call or text. However, the annoyance factor of being next to a ‘bad’ phone user (loud, obnoxious, annoying ringtone etc) for a whole flight, or even worse a long stay in hospital must be excruciating. While I think relaxing the rules is a good thing, I wonder if the number of phone related injuries while in hospital will increase.